Creating and developing charity traditions in Latvia. Society “Tuvu” is a Christian charity organization whose goal is to decrease the social risk of Latvian families, children, and lonely people and their exclusion from the public, and to increase their well being. The society works since 2013, but the managers Lāsma Cimermane and Zane Rautmane have worked in charity sector for more than ten years. 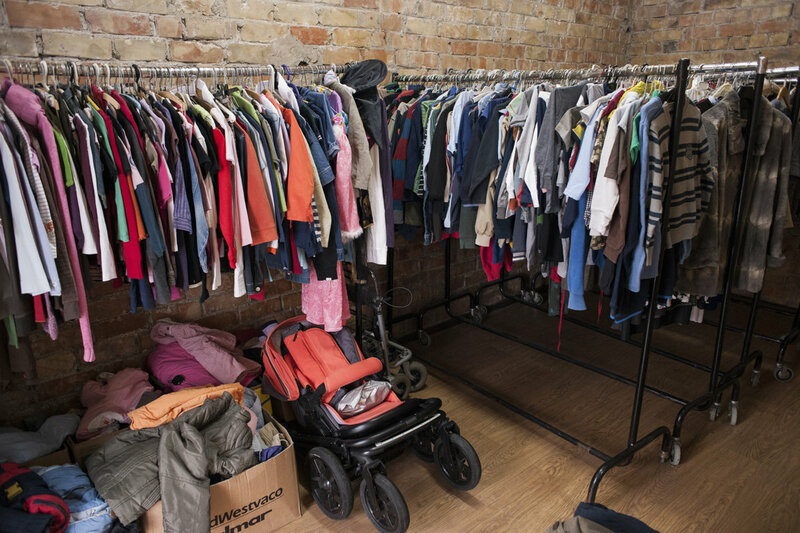 Society “Tuvu” cooperates with similar charity organizations from Germany and Latvia, who donate clothing, footwear, household chemicals, furniture, domestic items, and food for reaching the society’s goals. We also seek partnership with other non-government organizations, enterprises, and organizations to find a way for socially vulnerable people to visit different cultural and sport events. We also cooperate with volunteers who help to organize and manage our events. Society “Tuvu” organizes different events for children, camps for teenagers, as well as construction projects that help to improve living conditions for families with children. Society "Tuvu" receives the status of a Public benefit organization, witch means that we have not only yours, but also the government's trust, and it's a great honor. It's also great for our supporters, because physical and legal persons who donate and support public benefit organizations can receive tax discount. We will continue this work together, because we can do it only with our supporters, volunteers and friends! Just recently the charity work of society “Tuvu” was in the level of a hobby, but now it has been noticed by others, so it can grow and develop even faster. Until now it was enough to have a room where poor families could come and pick the things they needed, but now, in the sense of space, it has become too tight to optimally and conveniently distribute things to our partners too. For now we have two average sized rooms where we can give the goods to families. In one of them we have clothing on hangers, divided by categories on clothing racks. 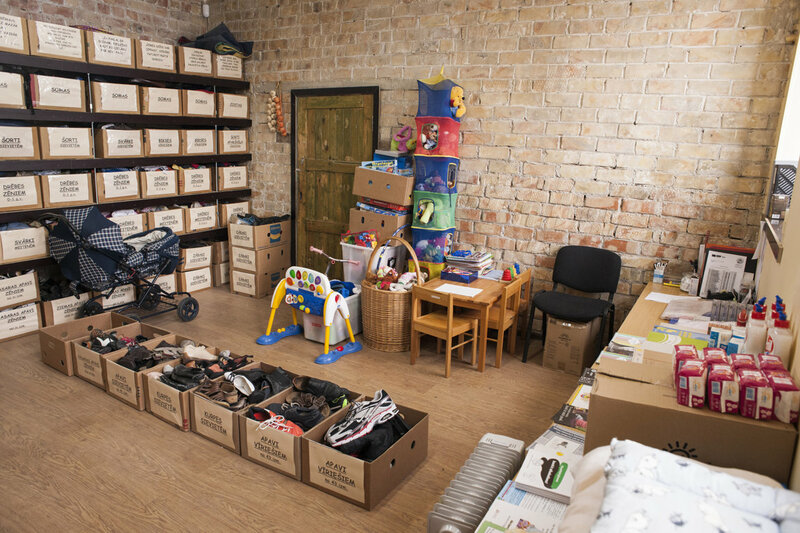 In the second one - clothing, footwear, toys, tableware, and other items for household are organized in boxes on shelves, each box has the name of the items it contains, so everyone can easily find what they need. We also have two large warehouse premises and our hope is that one day we will be able to renovate these two rooms and move from the smaller ones to these. Here we plan to distribute items, clothing, and food to the needy, as well as to receive cargoes. 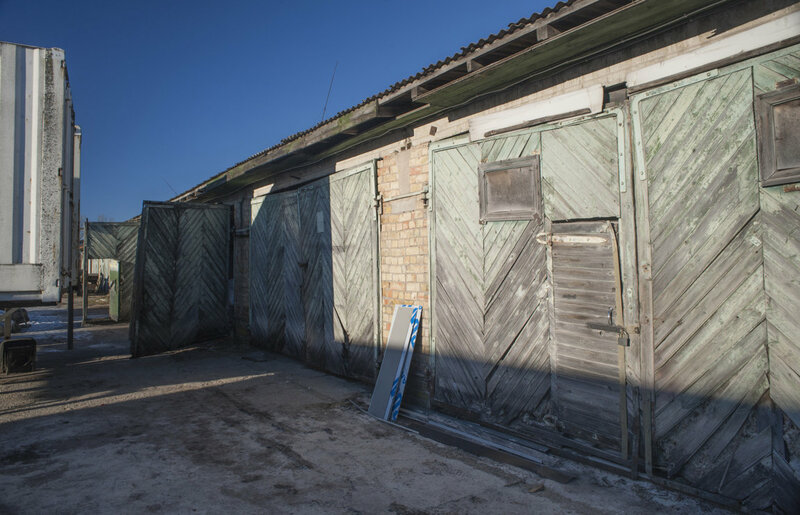 The premises previously were garages and they are in very bad condition - we plan to put in heating and utilities, change the big doors, put in floors, insulate the wall and ceiling, as well as to put in a green zone where in summer we could host events for children. The roof will also have to be renovated because it leaks during rain. For now our financial resources are limited, but we wish that everyone, who wants to help and participate in this large and important work, can have the opportunity to do so, as well as to receive help for themselves or people next to them by cooperating with our society. When providing practical help, we often face financial issues - provision of clothing, shoes or furniture often is not enough, so we had to search for a solution how to support people with specific needs - for purchasing medicine and food, receiving healthcare, or improving living conditions. Many families live in very bad conditions. With support from our German partners we decided to try our luck in business and opened our charity shop. All of the profit goes to the previously mentioned charity projects. The shop sells goods from Germany, but Latvians are also welcomed to actively donate useful items. They can also choose if the items go in the shop shelves and the profit later on contributes in a project, or to give the items straight to the poor without any money involved. 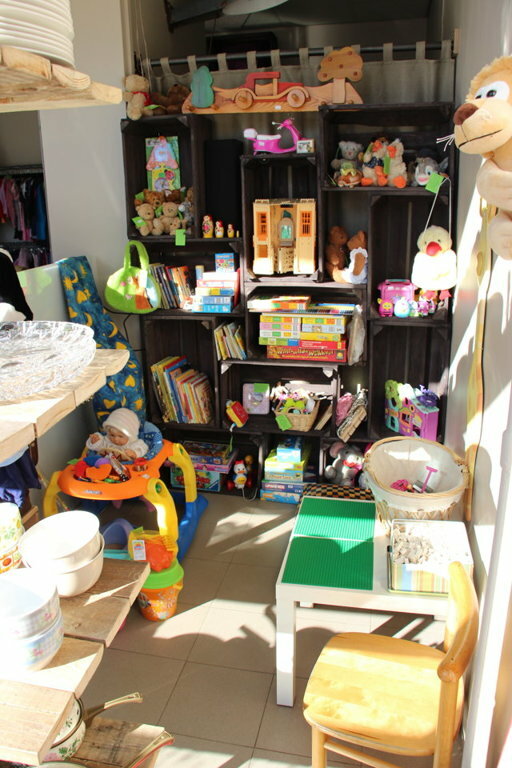 In the shop you can purchase clothing for children and adults, shoes, crockery, furniture and other useful goods for the whole family. The prices are friendly so that the shop would be affordable for everyone, and anyone can find something good for them. 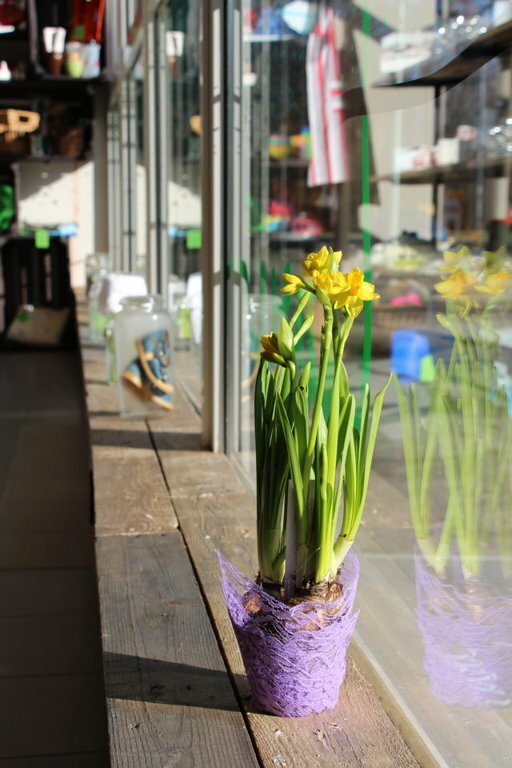 We want for the people who come in our shop to feel welcomed and special, so we wouldn't be just another shop, but we would have that special quality that leaves our customers wishing to come back more often.